Before taking a Stony Brook University course in news literacy, 17-year-old Alex Macholz, a student at Northport High School, never thought to question the source of the news he was exposed to. Janis Schachter’s News Literacy class at Northport High School. 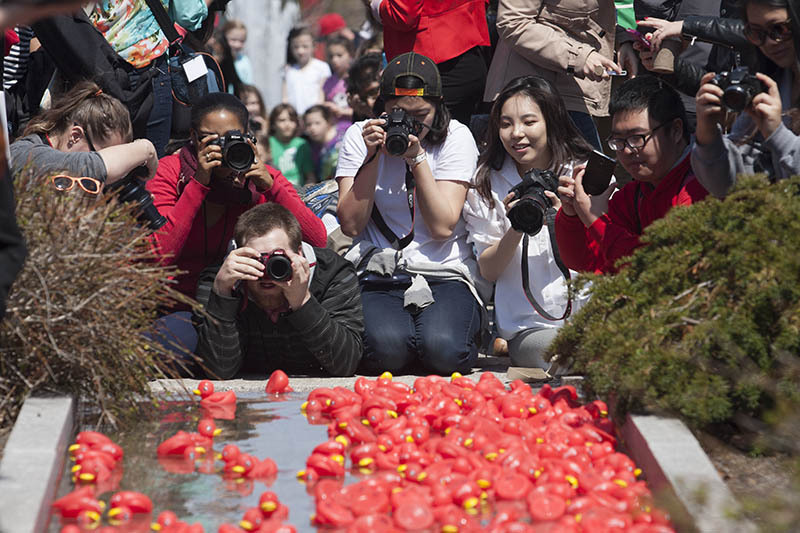 What began at Stony Brook as an effort to encourage critical scrutiny of the news is now gaining traction in local schools, and has even found its way overseas. 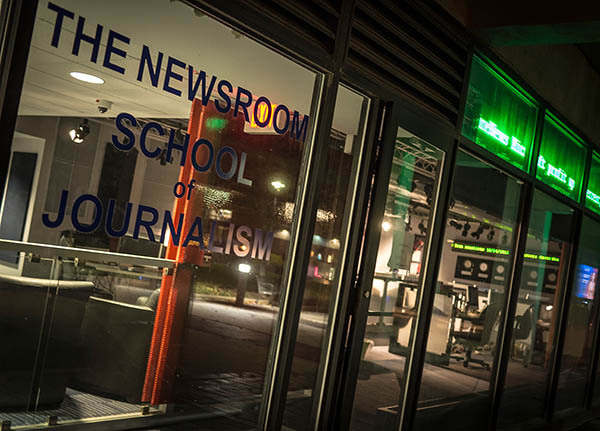 The pioneering School of Journalism News Literacy course has partnered with middle schools and high schools on Long Island and Westchester to expand the program. 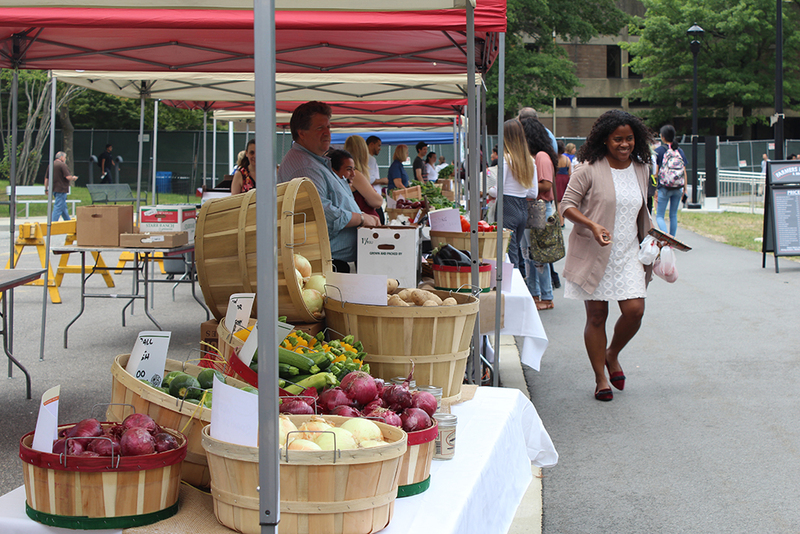 Northport, Cold Spring Harbor, Kings Park, East Islip, Ossining and Briarcliff are among the public high schools that have an accelerated college education program where students are able to receive college credits for taking the course. Many feel that the need for news literacy has never been more urgent as the line between fact and fiction on media channels blurs. 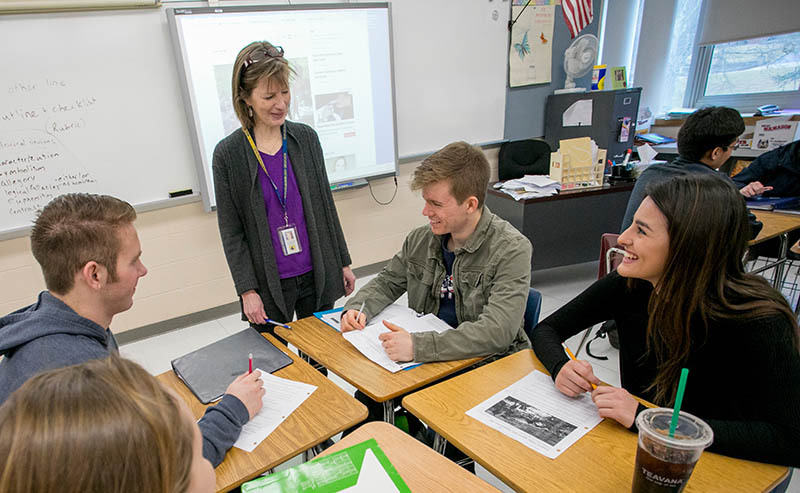 To help students consider what they’re reading, online or off, Janis Schachter, a social studies teacher at Northport High School who has been teaching the news literacy course there for six years, uses examples from each day’s news to demonstrate critical thinking and public engagement. Another student in Schachter’s class, Nick Millkey, said he’s learned to be more aware when reading something. “I make sure I look for the author’s or reporter’s name while reading the article or story,” Nick said. Northport High School offers the course to fulfill the 12th grade social studies requirement for Participation in Government and Economics, in the belief that democracy depends on a well-informed citizenry, and citizens need to know how to find and recognize reliable information. 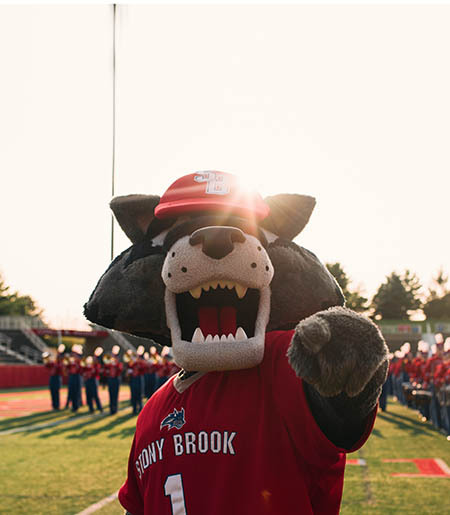 Established in 2007, Stony Brook University’s School of Journalism was the first school in the country to create a news literacy program. The program teaches students how to use critical thinking skills to judge the credibility of news reports. 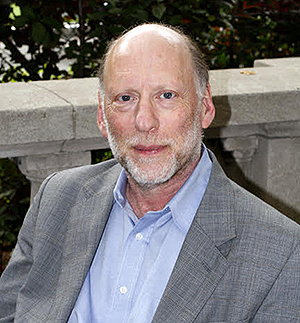 Howard Schneider, the founding and current dean of the University’s School of Journalism, has collaborated with hard science, social science and humanities experts at Stony Brook to build the curriculum. The course is designed to educate students on how to spot patterns of biases together with differentiating between trustworthy and inaccurate information. “Every middle schooler and high schooler should be exposed to news literacy education,” Schneider said. “It’s imperative to create a level of awareness in schools and to get school districts to build the news literacy course into their curriculums. 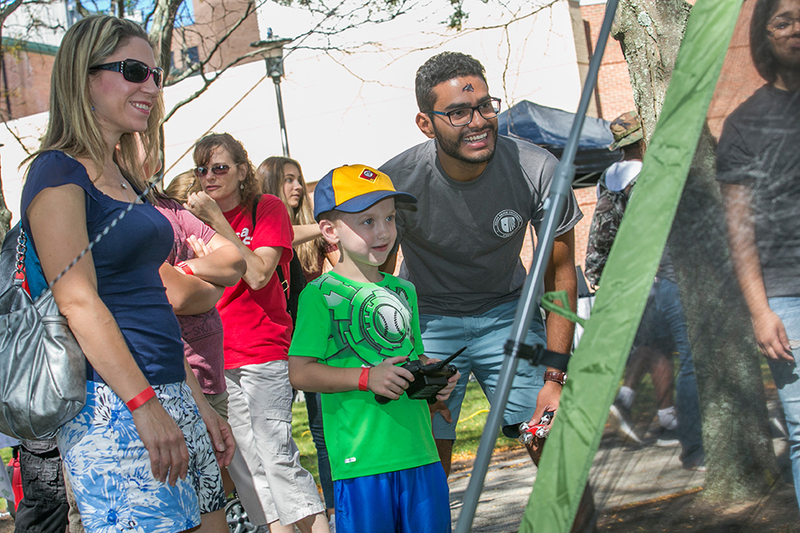 Students should be well-versed in news literacy in order to identify what’s fake news and what’s not,” he said. 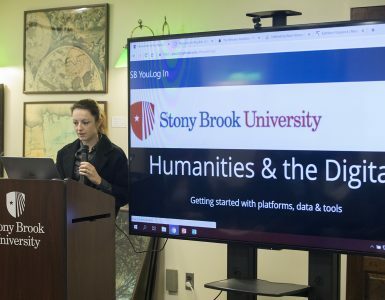 Schneider said that more than 10,000 Stony Brook University students have taken the news literacy course over more than 20 years. “We cannot slow down the way news comes to students, but we can slow down the way they consume it,” he said. 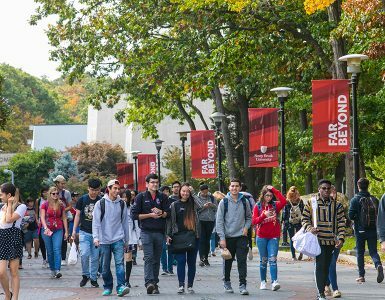 Melissa Azofeifa ‘19, an undergrad who majors in journalism at Stony Brook, said the course has taught her to be cautious when reading and to always fact-check information. In a world dominated by social media, everyone is potentially a publisher — and with that comes responsibility to examine the reliability of what someone posts or shares. A version of the course has also spread to universities across the country and overseas. Through its Overseas Partnership Program, the Center for News Literacy has brought the curriculum to Poland, Russia, Hong Kong, Malaysia, Australia, Vietnam, Israel, and Myanmar. Richard Hornik, the director of overseas partnership programs, has directed these efforts since 2012. Schneider says the objective is to share the School of Journalism’s news literacy curriculum with emerging democracies and other nations. “The end goal is to introduce news literacy in every school across the country and world,” Anzalone explained.